Spider-Man: Into the Spider-Verse the cinematic debut of Miles Morales, is our top superhero movie of 2018, a year that featured an abundance of them. Spider-Verse edged out box-office and cultural phenomenon Black Panther and the decade-in-the-making Avengers: Infinity War. Black Panther and Avengers: Infinity War each earned a billion dollars, but Spider-Verse truly felt like a one-of-a-kind experience in an era of superhero movies that is starting to get a little long in the tooth. This year saw Warner Bros. and DC Entertainment make up for last year's Justice League dud with Aquaman and the anticipated return of Disney/Pixar's The Incredibles. Deadpool 2 once again gave justification for X-Men movies to be made without the supervision of Marvel Studios (although it's maybe the last time that will happen, with a potential Disney/Twentieth Century Fox merger in the future). Venom made so much money (over $850 million worldwide) that Sony (who also produced "Spider-Verse") now has multiple Spider-Man-inspired movie franchises in the works. Marvel Studios won't have to come in and play the role of spidey-savior like they had to do with Spider-Man: Homecoming. An animated movie taking the top spot on this list - when animation at times has been an afterthought in superhero entertainment - shows how special Spider-Man: Into the Spider-Verse is. From the top-notch voice cast to the groundbreaking visual imagining of this universe, this movie is the beginning of a franchise with unlimited potential from Sony Pictures Animation. Bold, black and a boom at the box office. Director Ryan Coogler guided a story that was surprisingly deep emotionally and sociologically, with plot points ranging from father/son issues to the divide between African and its diaspora. The women of Wakanda were leaders both as warriors in battle and in the science lab. Black Panther also proved that when the original Avengers ride off into the sunset (by retirement or Thanos snap), there will be a new generation of heroes ready to lead Marvel Studios into the future. 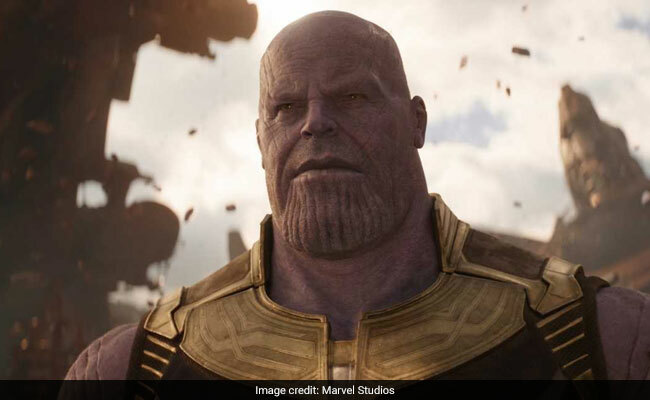 Thanos destroyed half of all existence and all talk of Marvel Studios movies never having villains that matter. The long wait to see the wielding of the Infinity Gauntlet lived up to the hype. Even among the heroes that survived, there's no promise that they'll make it out of May's follow-up, Avengers: End Game. Warner Bros. and DC Entertainment, under the direction of James Wan and the influence of Geoff John's Aquaman comics, proved they can still be a major player in superhero cinema despite deservedly creating doubts among fans the last few years. Aquaman showed that Wonder Woman isn't DC's only franchise worthy of a sequel and that their superhero films can be bright, inspirational, fun and not nearly as moody as they've been in the past. Despite taking more than a decade for a sequel to arrive, the Incredibles came back strong and it shouldn't take nearly as long for them to slap their domino masks on again. Just like "Spider-Verse," The Incredibles 2 made a strong case for animation to continue to have a say in the future of superhero cinema. Aquaman wasn't DC's only success story at the movies this year. Teen Titans Go! To the Movies was easily the funniest superhero film of 2018, offering LOL moments, catchy tunes and, like Aquaman, a refreshing break from the bleak darkness that so often engulfs DC's movie universe. There were also multiple jokes about the Challengers of the Unknown. No other superhero movie can give you that. Making not one but two Ant-Man movies is an underrated Marvel Studios achievement. Ant-Man isn't as famous as Captain America, Thor and the Hulk, so Marvel Studios had to rely on the comedic charm of Paul Rudd (as Ant-Man) and the take-the-lead toughness of Evangeline Lilly (as the Wasp). This Ant-Man franchise, with a great supporting cast featuring Michael Douglas and the speedy-tongued goofiness of Michael Pena, is likely headed toward becoming the most unlikely superhero trilogy of all-time. It proves the magic of Marvel Studios can work with just about any of its comic book heroes. It seems almost ridiculous that Venom felt more like a romantic comedy than a horror flick given this is one of the most gruesome comic book characters ever. But this movie's overseas box office success (plus more than $200 million domestically) means a sequel featuring a clash with the bloody red-and-black Venom villain Carnage is all but certain. And that's all any true Venom fan could have asked for.